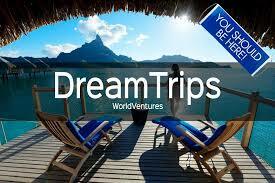 Is World Ventures a Scam or just a No-go. Founded in the US in 2005, World Ventures uses multi-level marketing tactics to sell discount travel and holiday products, with members — called “Independent Representatives” — paying a monthly fee for the opportunity to sell these “Dream Trips”. Naturally, these members are encouraged to sign up other members to earn commissions and further discounts. Their monthly fees would be cancelled when they bring in more customers. As you can conclude from my rating above, I consider this program not a scam, but surely a no-go for most people. Read more and see for yourself how I came to this conclusion plus my number 1 recommendation for building a successful internet business. Now here is a beauty if I ever saw it. Cu-do’s to the ones who designed the site and filled it with such a great sales pitch. First thing, looking at their images, is that they seem to direct their campaign at young people exclusively. Here is an example of how clever they hide any shortcomings: “To go on a trip, all the members must do is pick a destination. Our team handles the rest. We carefully curate (difficult terminology for ‘assist’) each trip from start to finish, from airport transfers to excursions, so each experience is unique and unforgettable.” Whatever can go wrong here? Well, here is the catch: trips include everything except Flights! Your Dream Trip only starts at your destination. By subtly including airport transfers, you are led to think that flights are included. I would say that this is a successful attempt in hiding the truth from you, a potential customer. Some people would call it misleading. “In 2005, World Ventures Founder and Chief Visionary Officer Wayne Nugent (picture below) had a vision of a company that would cultivate the spiritual, emotional, intellectual, physical and financial lives of its members; a company fuelled by travel, life-long friendships and unforgettable experiences. 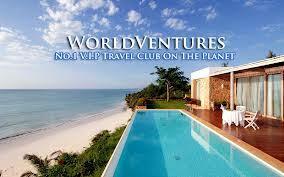 For more than 10 years, World Ventures has been the leading direct seller of vacation club memberships”. Have you ever seen better and especially loftier than this? Well on the same page they go one better in describing they are also taking care of many children in the world through their world ventures foundation. So you see, they are very good people, claiming they raised millions in charitable donations. I know of many companies that do this kind of thing as a normal and social responsibility, but what they do not do is making it part of their promotion campaign. And what the hell is a visionary officer anyway? The elements of a pyramid shaped or binary payment schedule are part of World Ventures compensation plan, which is not easy to read for laywers, let alone a layman, like you and me. 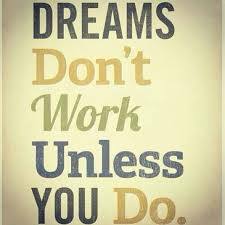 Where you are encouraged to sign-up new members, network marketing comes in. 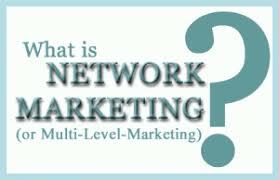 Are you a professional in network marketing or do you already have an extensive network of people you can rely on? Then this might be something for you, but be prepared to put a lot of time and effort into your business. Forget about beautiful, life enhancing, frienships inspiring holidays for the time being. What about you, the beginner? Now let’s analyse this offer. They claim here that they will train you for two days (weekend) in order to become a top earner and will put you on the path of success. I am inclined to believe the latter, but just 2 days to make you a professional? It took me months of extensive training and support to become versed in the internet marketing. Nowhere else on their website have I seen what they are going to teach you and how they are going to make you a suceessful representative, as they are calling you. Newcomers, stay away from this! World Ventures has come under fire in the US for drawing in members with flashy motivational seminars and the prospect of easy cash, which usually fails to come true. So are you going to make money with this program? When we are looking at past results, it looks like you would have a hard time. According to World Ventures’ 2015 annual income disclosure statement, 78 per cent of so-called “Independent Representatives” did not earn a commission during the year. Of the 22 per cent who did, the average was $US 150. Hardly encouraging, isn’t it? As the document makes clear, there are “no guarantees regarding income”. “The success or failure of each Independent Representative in World Ventures, like any other business, depends on the Independent Representative’s own skill, dedication, personal effort, leadership qualities, and market available,” it says. Complaints received by BBB allege that World Ventures gives misleading information about their product to consumers prior to a purchase, exaggerates the savings realised by their product and fails to provide refunds for cancelled services. Need I say more? 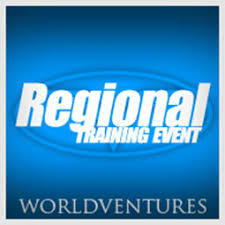 Please let us know what your experiences with World Ventures were. For this review, as with almost all reviews on my website, I have mainly relied on information on their website. What I am looking at is how the information is presented, how good it looks, how beautiful their language and especially at the information not presented. It is my experience that the more lofty info is presented, the more such a site wants to cover up or hide. For me this is the ultimate red flag. 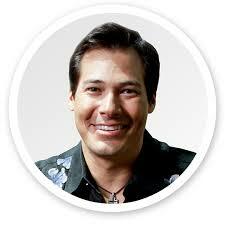 World Ventures is the epitome of my philosophy, bringing you joy, faith and fullfillment. Especially to the younger and more believing audience that is. I can only hope that, before signing-up for this program, you will read this review and realise that the shortcomings I have shown you above, will make you think twice. By the way, there are some very good scam free and reliable programs out there, that provide you with extensive training and support, so that you will have a real chance at becoming a successful internet entrepreneur. One of such platforms, and maybe the best in the world, is named Wealthy Affiliate, established in 2005. If interested, you can read my full review here. I really despise companies who give misleading information or are not up front about everything involved in joining them. Yes, travel is appealing, but like you said, the flights are not even included but it seems they are, again very misleading. The stats of the earnings for this business tell the tale at the end of the day. This is definitely an mlm I will be steering clear of! It is a pity that although these kind of websites are misleading, still so many people fall for it. The second important thing the people should watch out for, is the information not given. I only hope that they are smart enough to go to reviews like this one in order to avoid the traps that are set for them. Next PostNext What you need to Know about Legit Online Jobs – Scam or not?